Why Do We Care About Woo? Comments are welcome, but spam is not. Also, any and all links to pseudoscience (as determined by Woo Fighters Administrators) will be removed. New 13th Sign of the Zodiac! Look! Up in the Sky! It's an Earthquake! The first post written for the Woo Fighters website was written by Barbara Drescher, and it was titled “My Inspiration for Woo Fighters“. What it was is just that, an explanation from start to finish of how she became interested in skepticism. What was described was a very deliberate path of events which led to the current day. Now, alongside with ICBS Everywhere and many panel appearances, she has brought together the Woo Fighters, a collection of approximately half a dozen students interested in skepticism. 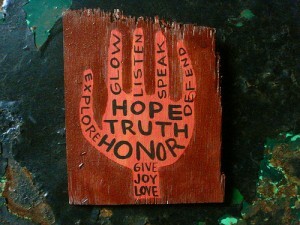 A good exercise in life, not just for skepticism but for anything, is to take great interest in people’s motivations. Not just what they’re doing, but why they’re doing it. What’s of particular interest to me is the “why” of why people become involved with skepticism. I’m assuming most of us are trying to spread the tenets of skepticism, and realizing why people get involved in the first place is to the advantage of all of us. I had a friend who began to participate in a lot of cancer research fundraising, and when I asked him why, he told me that his mother had recently gotten cancer. Most people involved in any type of activity have a strong connection to whatever they’re doing, in one way or another. So I started looking at people who are “doing good” for skepticism. 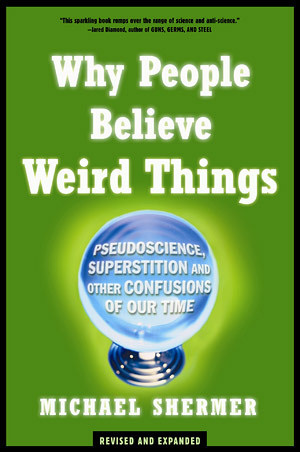 It was interesting to read in Why People Believe Weird Things that popular author Michael Shermer was a fundamentalist Christian long before he arrived at where he is today. A lot of people would see fundamental Christianity as incompatible with skepticism, and it would only seem as if Dr. Shermer did as well. Brian Dunning describes his earlier days on the internet attempting (unsuccessfully) to start intelligent discourse on various message boards. It’s a little harder to dig up the origin stories for people like Phil Plait or Steven Novella, but it seems clear that at some point everyone was pushed in the direction of skepticism, and for it has contributed very much. So what makes them, and you, different from everyone else? When you see a video on something like The Sprinkler Rainbow Conspiracy, what makes some of us laugh, some of us sweat in terror of Barack Obama, and some of us “head to the blogs” to try to teach people that this isn’t right? Is skepticism a “get ‘em while they’re young” kind of deal, something inherent in our personalities, or what? The good people involved are here “because it happened to me”, now for people to reach this point I need to know exactly what “it” is. On “Becoming” A Skeptic – Must I Lose My Empathy? When I was asked to contribute to Woo Fighters, I accepted with enthusiasm but was also quite nervous about what such a position exactly entailed. As a budding clinical psychologist I have studied the importance of empathy and genuineness in establishing a growth-promoting, therapeutic relationship with others. I have honed these skills through my daily interactions and found that discussing perspectives openly (no matter how irrational they appear to be) is generally beneficial to my understanding of others and facilitative to communication and understanding. My layman, stereotyping understanding of skeptics – as those who staunchly refute all claims without a clear scientific grounding, closed-minded to ways of knowing outside their scientism – proved to be a source of anxiety in the days following my agreement to be a Woo Fighters contributor. I felt that becoming a skeptic could threaten my genuine self: the ability to participate as a promoter of critical thinking and reasoning appealed to me, but I didn’t want to become a pessimistic, oft-to-criticize, belief-bashing tyrant in order to take part. To my relief, I found the contemporary definitions of skepticism are much in line with the empathetic, open perspectives I hold in high regard. More astoundingly, I found skepticism was very complimentary to my preexisting methodology of evaluating claims in academia, daily life, and other avenues. I realized that my genuineness is not threatened by being skeptical; on the contrary, the usage of critical thinking and reason that I have utilized most of my life is skepticism – I was just unaware of it by this name. An integral aspect of skepticism is doubting or withholding judgment, which should not be done negatively (or positively for that matter) since such a stance would bias the pursuit of truth. The fact is that one can be skeptical while simultaneously being open to the views of others. In fact, in order to arrive at objective truth one must evaluate all angles of a concept without filtering arguments based on preexisting beliefs, underlying motives, and defensive self biases. I believe the most effective way to gain this position is through empathy, striving to understand the perspective of another to comprehend their supporting evidence for their beliefs. If one can accurately view an issue from the opposition’s side along with their own on a level field, then the grounding for evaluation of claims is better informed and the skeptic can more efficiently pursue truth. It is unfortunate that skeptics are generalized as being harsh, cold dissenters in the way I categorized them before doing some research on the topic. As in other fields no single member is representative of the whole and this is obvious through a shallow search into the internet skeptic community. My experience of “becoming” a skeptic exemplifies why skepticism is a vital process for those who seek truth in actuality – only through gathering evidence about skepticism and its community did I realize how wrong my preconceptions were, which motivated me to change my perspective. Those who are apprehensive of adopting skepticism for fear of losing their empathy and openness are most likely misinformed about the foundations and focus of the process, which can easily be alleviated through a little research from an open and empathetic viewpoint. A Brief Introduction to Youth Perception of the Skeptic Community: Something’s not quite right. What does science mean to skepticism? A large portion of the individuals involved in spreading information and awareness about skepticism come from academia and possess advanced degrees. Even our organization, The Woo Fighters, defines its members as “defenders of science”. The terms “scientist” and “skeptic” can be used almost interchangeably, with scientists seeking to make conclusions based on evidence as freely as possible from human biases, and skeptics seeking to emulate that same thought process. The advent of the popularity of online blogging has given skeptic organizations a large amount of flexibility when it comes to teaching the fundamentals of skepticism. From these articles, some individuals from the growing audience of readers are recruited to the scientific school of thought. But what are they really being recruited to, what do they believe they’re a part of, and how does this affect the public’s overall perception of skepticism? As affirmed by several reputable sources, skepticism is a methodology for gaining knowledge through critical thinking and evidence-based reasoning. And that’s it. The definition of this word can never go beyond that point, and if you try to add any qualifiers you’ve already gone against what you hold most dear. Even if languages are living, breathing things, the process of skepticism is in the method, not the word. If this is supposed to be what skepticism means, what are new skeptics being exposed to? One important thing to note is that online skeptic communities draw a younger crowd than they did before the popularity of the internet. The Woo Fighters are currently a group of twenty-something students, and I wasn’t even alive before the fall of the Berlin Wall. 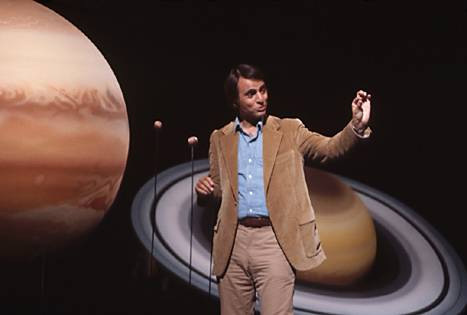 We’re talking young, young people who may not even be aware of Carl Sagan’s first use of the term “scientific skepticism”, or early groups such as the James Randi Educational Foundation. What we start with is what we believe science to be, and what we learn about skepticism is what we find available on the internet. So what is the information we start with? Pop science! 3-2-1 Contact was a bit before my time, but Bill Nye the Science Guy was just perfect. It even has “science” in its title, so you know it must be legit. Stephen Hawking and his Brief History of Time is practically the face of what it means to be a brilliant thinker in the eyes of the public (although there are of course others who are idolized in rather amazing ways). As I alluded to before, promoters of skeptic thought tend to be people who highly value the pursuit of knowledge. And this is where we’re coming from as children. A new, younger generation, who may or may not try to define skepticism in the image of what they believe it to be. The definition of skepticism is elegantly simple, yet there are so many organizations in conflict. Why are some skeptics angry about P.Z. Myers’ recent leaps of logic? Why does the previous blog even exist? Why did the Skepchick community recently fragment, aren’t they all fighting to promote the same skepticism? Not all, but many skeptic organizations have become exclusive communities, all fighting for their very own version of critical thought, their own version of the singular definition of skepticism. The young, burgeoning skeptic grew up with an idea of what it meant to be a scientist, learns what it means to be a skeptic, and finds that something isn’t quite right. The skeptic community is in conflict with itself, completely obscuring even the most basic idea of why many came together in the first place. Separate skeptic organizations exist not as mutually beneficial groups (as they should), but as factions. And this is what we see, and this is what we’re taught skepticism to be, and this is what we become. Everyone can’t be right, so who is? Copyright © 2010 Woo Fighters. All Rights Reserved.